How do you fancy a cheeky little break to Tenerife? 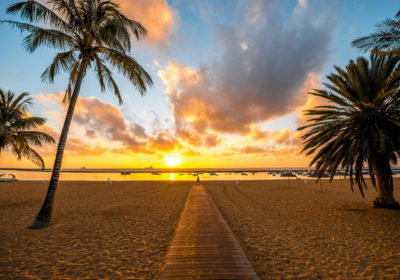 Over at Thomas Cook you can grab some awesome little deals like this 7 night break to Tenerife for as little as £179 each. This deal is based on two adults sharing however addition people can be added on if required. There are lots of options available to choose from which you can check out HERE. This deal is flying from Gatwick on 27th March 2019. There are more dates and departure airports available which you can check out HERE. These traditionally styled, comfortable studios are great value for couples and families. This quiet complex has grass and palm trees around the pool area so you can find a bit of shade whilst you sunbath. The little ones will love that they have their own pool and a playground to climb on. If you’re looking for a bit of competitive sport, grab a partner and head to the tennis courts to practise your serve and there’s also a games room if you want to try your hand at bridge. With lots of small shops, bars and restaurants in La Paz, you’re just 150m from the popular Botanical Garden and good public transport links and very reasonable taxis mean you can go to the busier centre of Puerto De La Cruz and explore the area further. 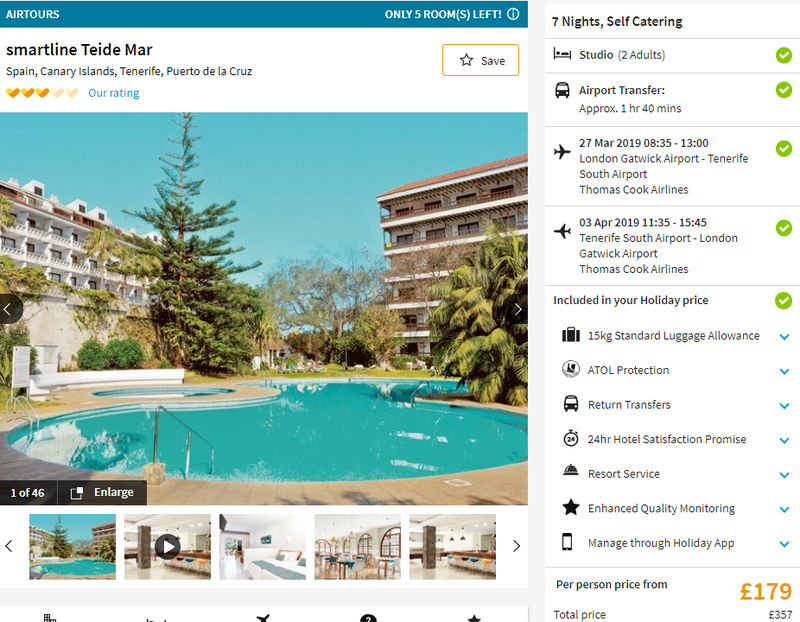 Despite the low price, the Teide Mar Apartments have good reviews over on TripAdvisor and an average rating of 3.5/5. The rooms are comfortable and located on the North of the Island away from the hustle and bustle of the many larger resorts but still with plenty of great attractions and sights for you to check out.